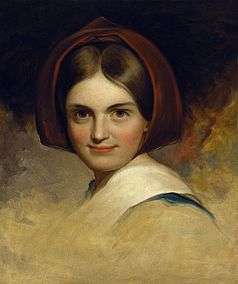 In 1843, Cushman became involved romantically with Rosalie Sully, a daughter of artist Thomas Sully. By 1844, the romance had ended. She began traveling abroad, acting in theater, and Sully died shortly thereafter. In 1849, Cushman returned to the United States and by 1852 had decided to retire from the stage. She took up residence with Hays in Rome, Italy. They began living in an American expatriate community there, made up mostly of the many lesbian artists and sculptors of the time. Cushman used her notoriety to promote the works of African American/Native American sculptor Edmonia Lewis, who had become a close friend and whom Cushman greatly admired. 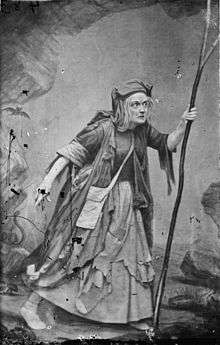 In 1860 she again acted in New York, appearing on several occasions for the benefit of the Sanitary Commission. 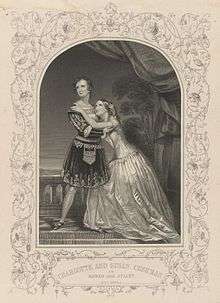 During the last six years of her life Cushman developed a remarkable ability as a dramatic reader, giving scenes from Shakespeare, ballad poetry, dialect poems and humorous pieces with a success not less decided than her earlier dramatic triumphs. 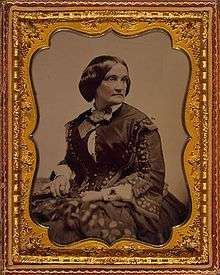 In 1871, after a residence in Europe, she resumed her career in the United States as a reader, besides fulfilling several dramatic engagements. Charlotte Cushman died of pneumonia in her hotel room on the third floor at the Omni Parker House Hotel in Boston in 1876, aged 59, and was interred in Mount Auburn Cemetery in Cambridge, Massachusetts. ↑ Clement, Clara Erskine (1882). Charlotte Cushman. Boston: JR Osgood. 1 2 3 4 Wilson, James Grant; Fiske, John, eds. (1900). "Cushman, Charlotte Saunders". Appletons' Cyclopædia of American Biography. New York: D. Appleton. ↑ Billy J. Harbin, Kim Marra, and Robert A. Schanke, The Gay and Lesbian Theatrical Legacy: A Biographical Dictionary of Major Figures in American Stage History in the Pre-Stonewall Era (Ann Arbor, University of Michigan Press, 2005), 126. ↑ See the poster Image:Cushman in Hamlet poster.jpg. ↑ "Charlestown". Boston Women's Heritage Trail.